There are 2938 posts in this topic. You are on page 45 of 59. 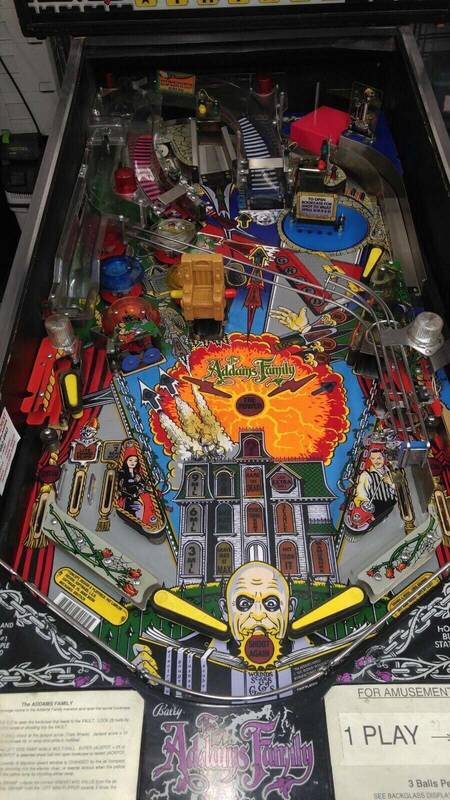 How the hell do you get to the back edge of the playfield to clean and take the ramps off? 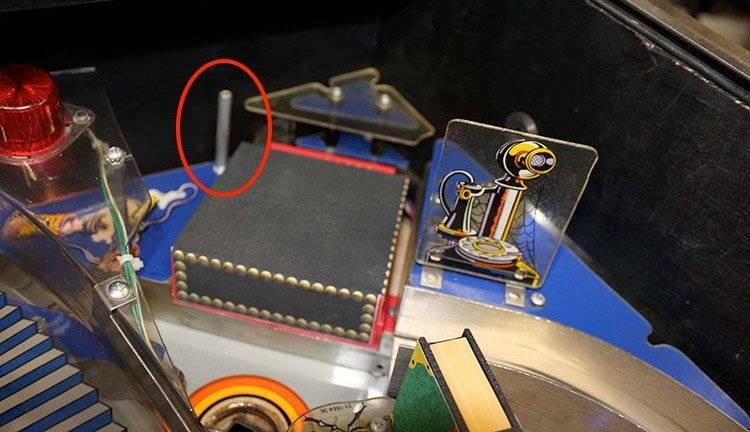 It's on a damn pivot nut and it's too close to the top edge to fit any tools back there.. is the only option to remove the damn entire playfield from the game? I'm not sure my wife and I can get it out, it's too bloody heavy. To take the ramps off I just lift the field up enough to fit a screwdriver in, it helps to have somebody holding it for you. 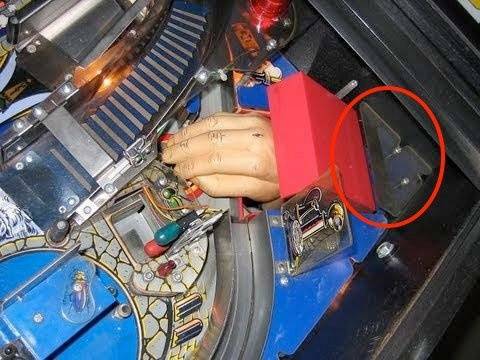 Take out the black plastic playfield glass channel on the back of the cabinet just above the rear of the playfield. This does not look like much but it gives you and extra inch or two of space to work on the back third of the playfield. I have shopped out several TAFs, including my own, and it makes a lot of difference in clearance. 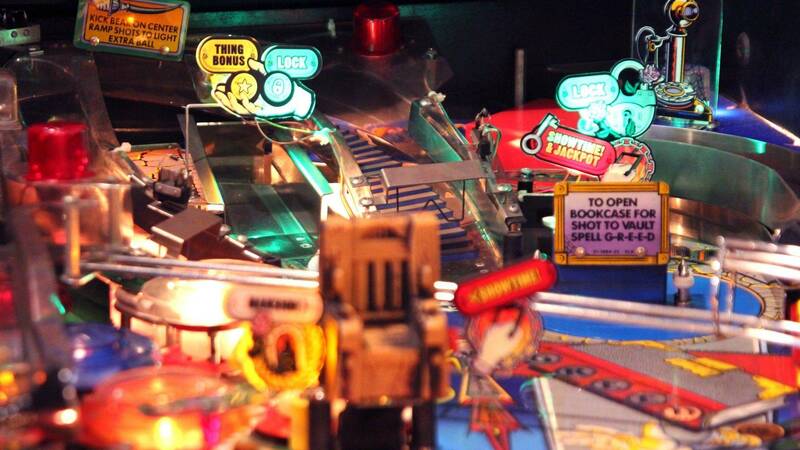 I just lift the playfield at the back out of the railing, move it forward and let it rest on the wood. This worked great with me. 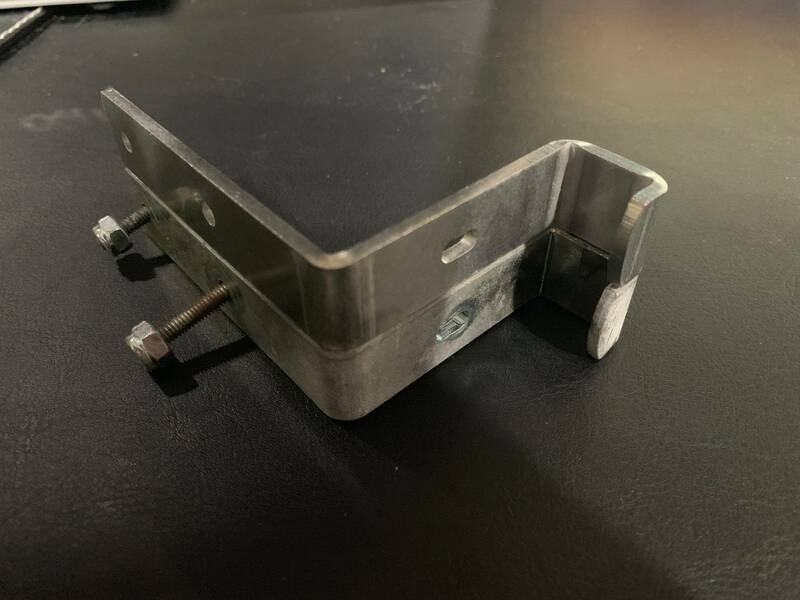 The ramps are one entire assembly that is pretty easy to remove but requires a short or bendy screwdriver to get the screws at the very back. 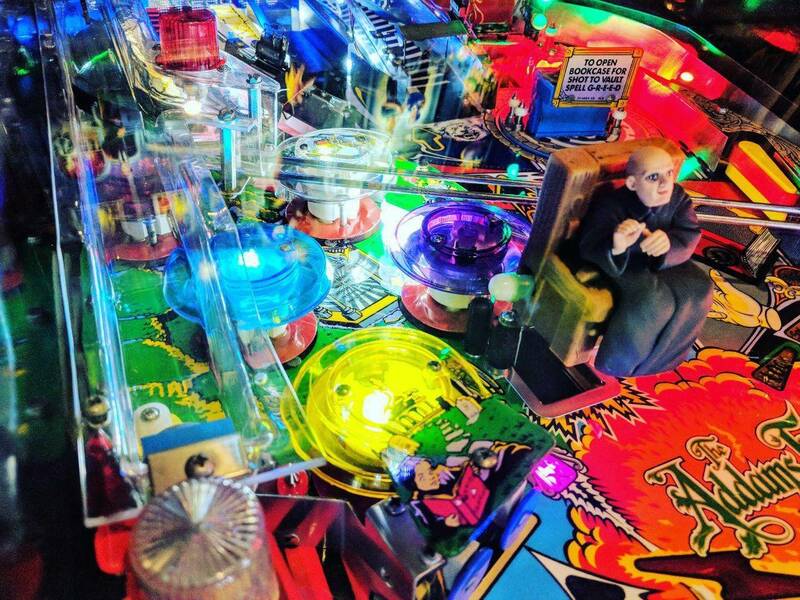 Any wires attached to the ramp can be unplugged underneath the playfield for full removal or you could just move the assembly out of the way while you clean. Yeah...it's not often I run into tight enough quarters that my tools aren't serviceable but they really crammed it all in there! 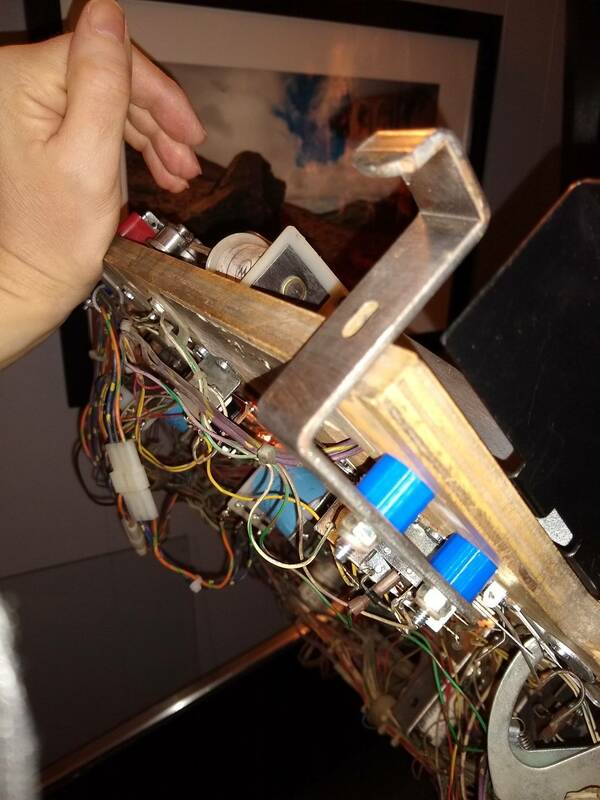 We just pulled the playfield right out that's the easiest way man, but this sounds like a job for the coveted snap-off super rare and super short screwdriver! 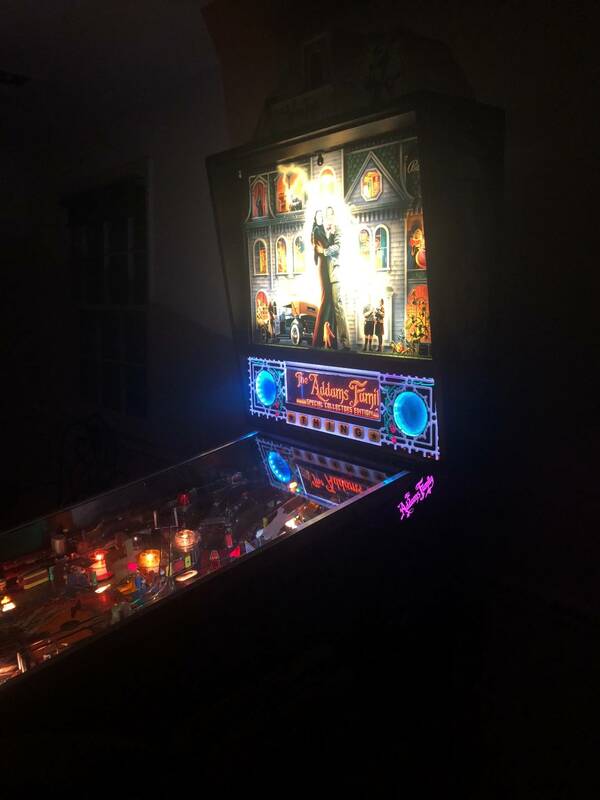 Got my Addams back after dropping it off to Pinball perfection in Melbourne Australia. 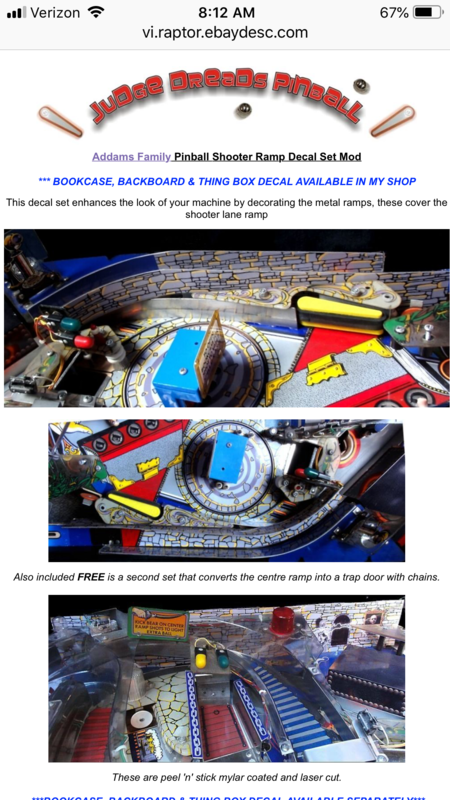 New play field and some parts, also a total cab restoration/decals. I'm literally over the moon! Geoff (Steelballs on pinside) gives so much attention to detail and made the journey so smooth without a single hick up that I am now taking my TZ to him. I chose the purple cap as its my fave color. 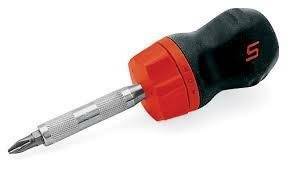 Okay, a sawed off screwdriver now that's some funny sh... LMAO! Sold it as it sat, got what I wanted out of it, and someone more industrious than me save a few hundo, so all good in the hood. Those are not sawed off drivers. They come with a little handle to turn them,they come in very handy. Those are not sawed off drivers. That looks so bloody nice! Okay, but I could theoretically make one by sawing off a screwdriver. More seriously though, is there a part number for those things? New to pinside and considering buying my first pin. 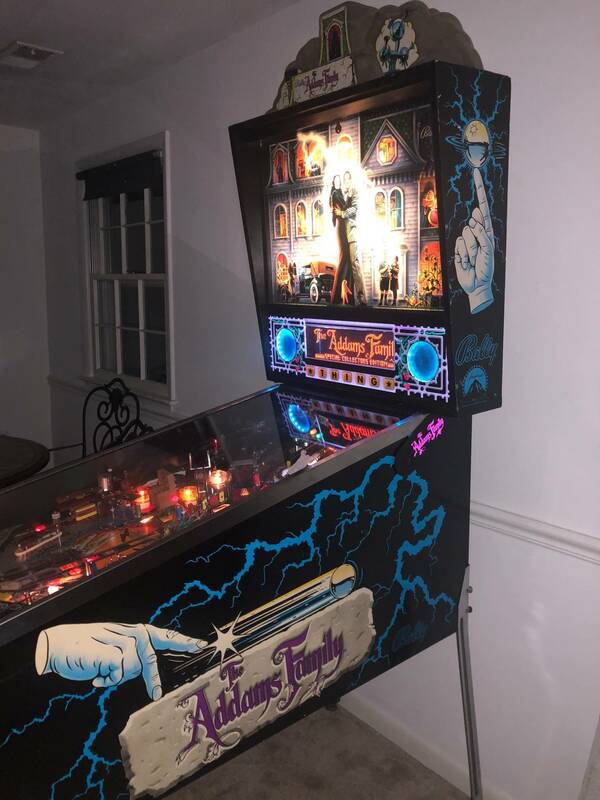 I’ve really had my heart set on Addams Family and I found one in my area at a reasonable price. All working condition, play field with slight wear but it has magnet burn (which I think is pretty typical). I’d plan on getting the fuse kit as many have suggested but how worried should I be about the burn as a signal of pin condition? Any thoughts or guidance? 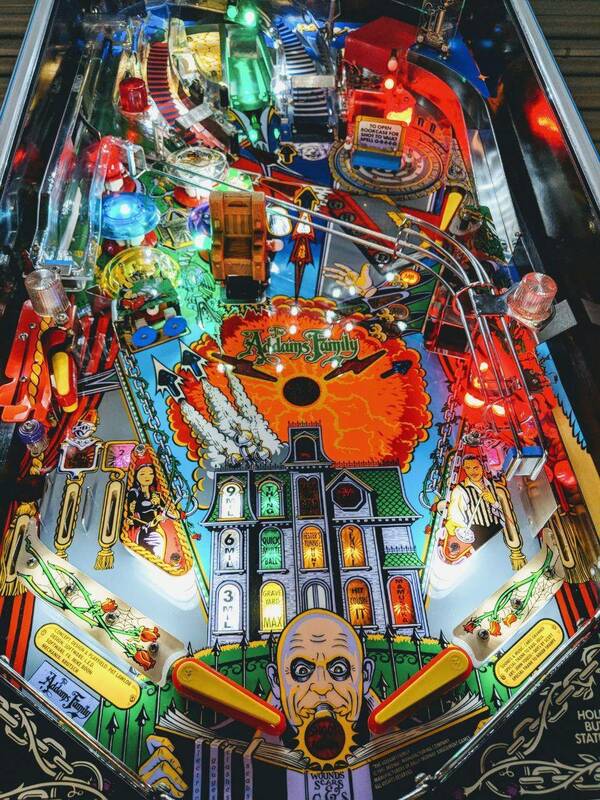 I have just replaced my playfield and have everything up and working, but have noticed that once i lose a ball, there is a delay between the time the ball is lost and the game realizes the play is over, it is an intermittent problem, that last about 10 seconds after the ball is lost. I checked all the switches and they all appear to be working fine? 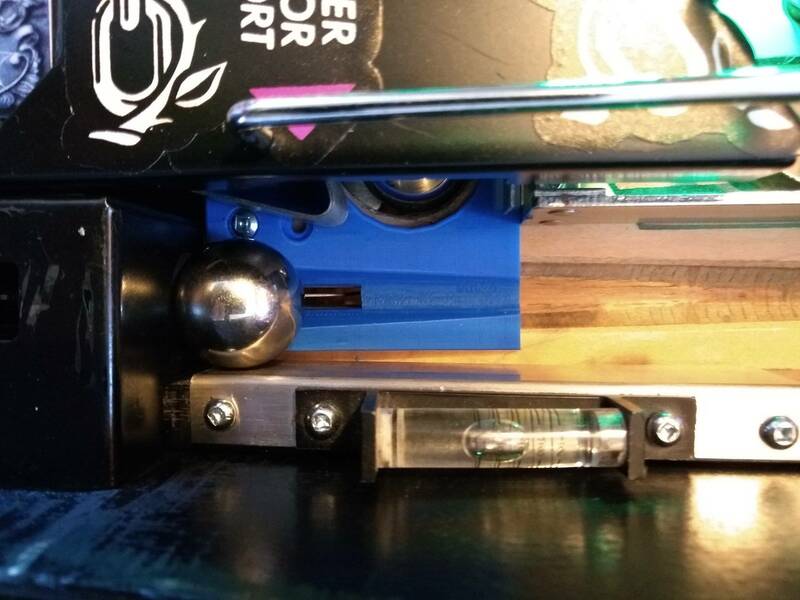 the ball hole switch is working fine and immediately kicks the ball over to the waiting outlane. Any ideas what to check? I wouldnt worry about it. I see the burn circle. You can buy an overlay decal to make that vanish. 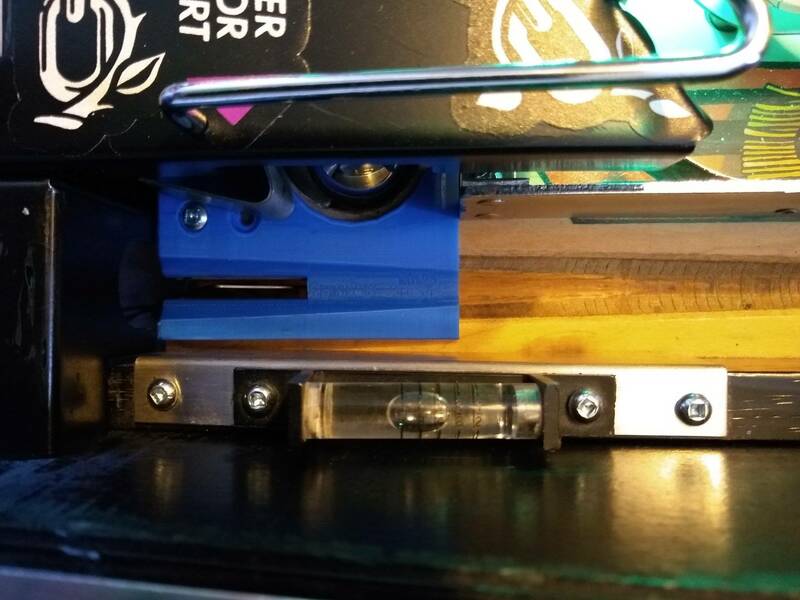 Install fuse kit on all 3 magnets so that wont happen again. 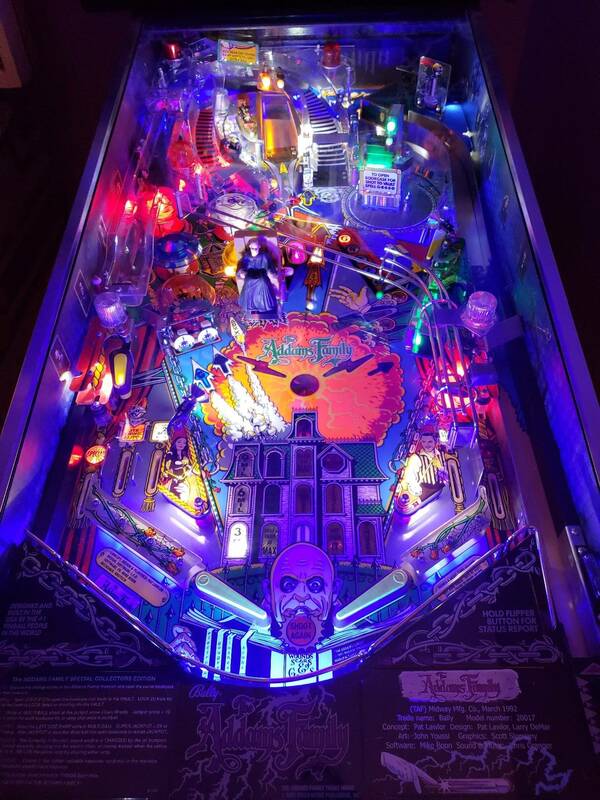 Since Mirco has released The Addams Family Playfields I would just replace the Playfield and you have an amazing brand new game. Because of this I would pay a lot less for any game that has magnet burn knowing I could get a replacement Playfield at this point. So don't pay too much and for the quick fix put the decal over it and play the heck out of it. Sounds like a bad switch to me. Either adjust it or replace it. 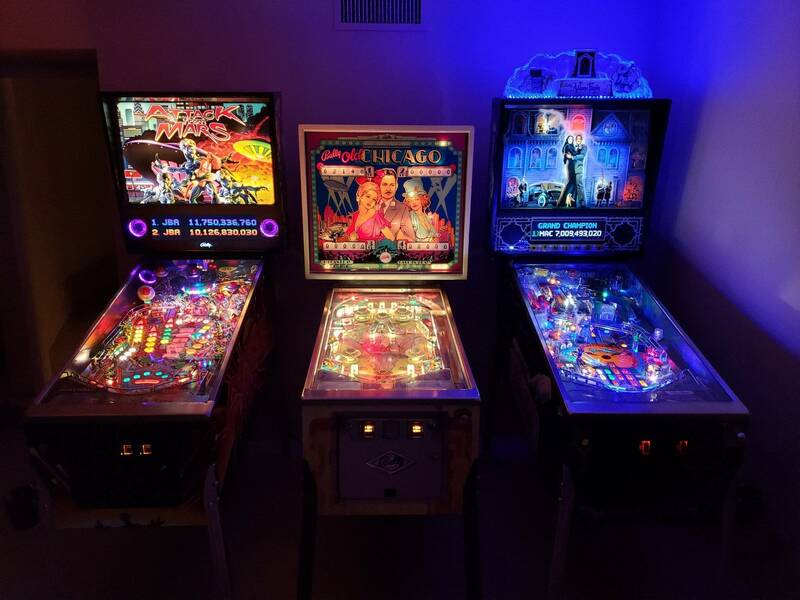 thanks for the advice ericpinballfan . Will install the fuse kit! I've found the magnet burn overlay decal online (one with just the cloud part and one with the full orange magnet part). Is it just a simple stick on situation or do I need to sand down or do any other prep to level the playfield before application? I'm not to concerned with the look as long as its better than the burn but can the decal cause other issues down the road? Indeed, its a stick on. Decals cause no issues. You just want to make sure there isn't any wax or novis on playfield area. Wet apply, meaning , just a little windex to slide it around and get it on perfect....dont touch. Wait about 5 hours for that to dry. Now, wipe playfield down and appky novis 1 as a base coat wax for playfield. Good to go. I have the mansion overlay on mine and it doesnt bother me or effect gameplay. I wouldn't say that decals have no effect. Like a piece of Mylar, the edge of the decal can affect the direction of a slow rolling ball. 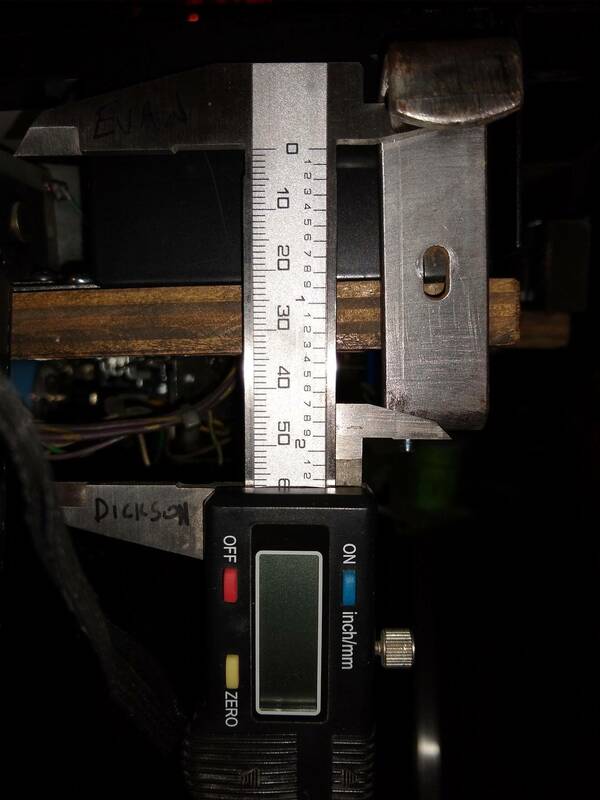 Just set up my first pin (TAF)! Going through everything and one of my priorities was installing the fuse mod since my playfield had some burn and I didn't want it occurring again. 2 of the magnet connector set up with the fuse mod no problem. 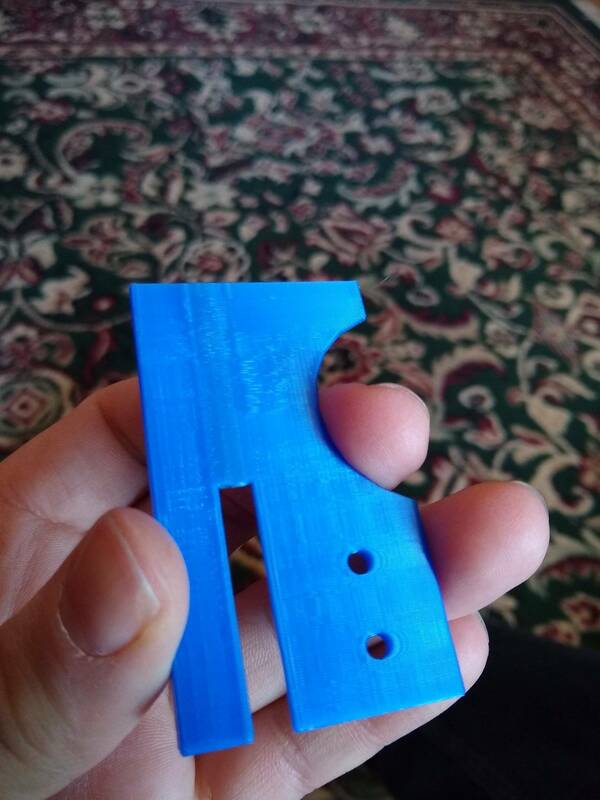 But the left magnet that caused the burn seems to have a different size plastic connector. My guess is that the burn caused some type of issue with the connector and they replaced it with whatever they had, so my plan would be to change it back to match the other 2 and install the fuse kit. But could I be missing something? Is there any reason why the connector for the 3rd (left magnet) wouldn't match the other 2? Congrats and smart move to add protection. You're likely correct on the connector. Very easy if you didn't already know to replace it with the correct ones from your preferred vendor. Hey guys what happens if you complete the tour the mansion thing ? is there kind of an "ending" to the game? Nope, you get some rewards and it starts over. You get a big points award, everything that isn't a mode on the mansion is lit, and then you're required to make it through every mode on that same ball. I've never survived long enough to tour the whole mansion after starting it so I don't know if there is another award for doing so. Once you drain you're back to a blank mansion to work your way through again. Whenever my ball drains thats it, there is no "saved ball" timer. Does anyone know if there is a setting for that in the menu? I tried looking couldn't find it. There is no ball save timer. The only way to get a ball save is to not hit a single switch before it drains. So basically try to get Thing for the skill shot, if you miss and it doesn't touch anything, or go short in the swamp,then don't touch the flippers. if you miss and it doesn't touch anything, or go short in the swamp,then don't touch the flippers. Has anyone used the Loop Combo plastics on the mystery lights? Any comments on quality / finish? They look a bit washed out in the photos, but nothing looks good with LED lighting in photos. I'm not a big "toys" modder, and I like that these look original and help to explain what the various mystery lights mean. 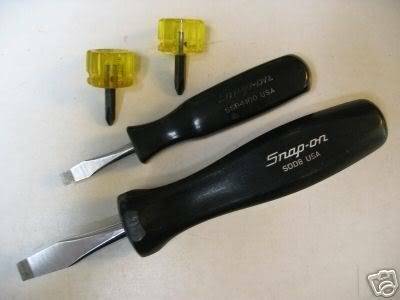 Thinking about buying a set off eBay with today's bargain coupon. Sorry, off on the wording...I meant you don't want to come up short and go in the swamp either. I have not seen them on Addams as they are newly released...but I will vouch for the quality from accidental on Jurassic Park. They definitely look OEM/factory/professional...whatever you want to call it! Here is a video I did on the JP ones. Just be careful with your plastics lol. You also may get better results depending on what bulb is behind it. I also showed a few quick ones in my LED comparison video specifically with the scoops. I stand corrected. Now I have to go work on completing that!! Light speaker panel, hinge magnets. How did that panel mod work on TAF? 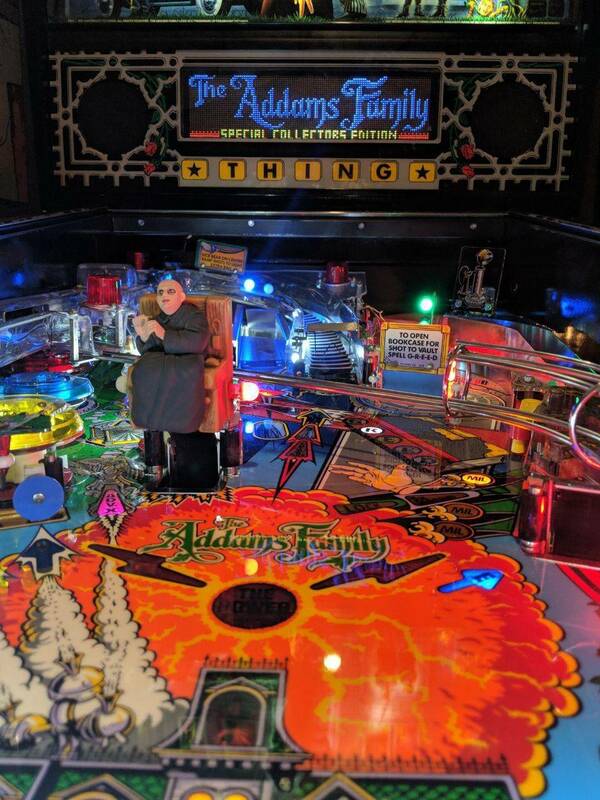 I didnt think it would work for that game with the thing lights across the bottom. Actually, I did the speaker panel a WHILE sago, but maybe I forgot to post pics. I love it though! 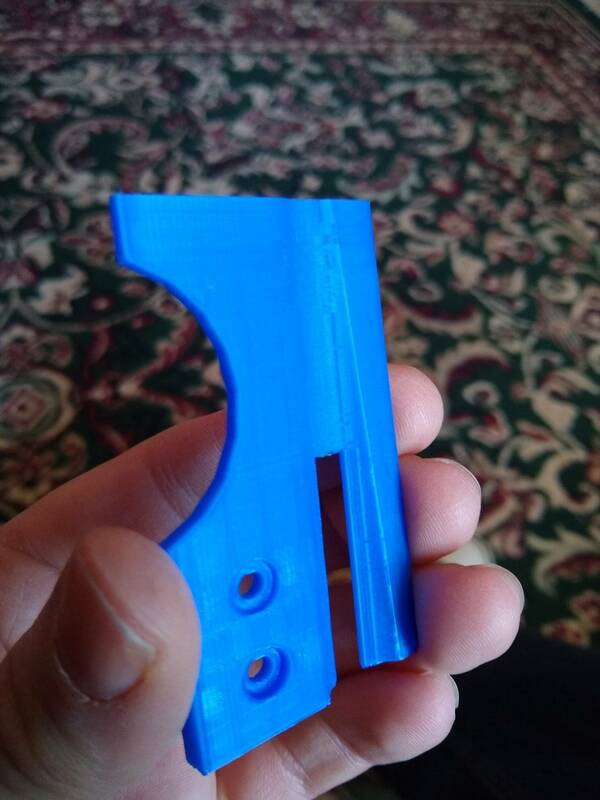 The hinge covers are the new mod. I couldn’t be happier with them! As with most light-mod pics, it looks WAY better in person. Worked no problem at all. 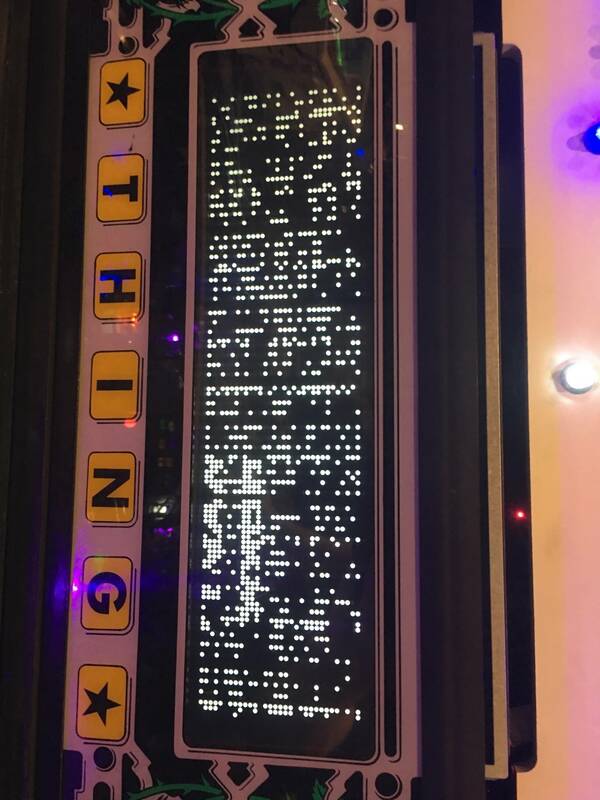 The panel has cutouts for each letter, and you just transfer the Thing board over. Piece of cake. I’ve had the speaker panel on for a WHILE now—got one of the early ones before the price drop. My only real complaint about it was the price, but it’s much more reasonable now for the ultimate at $229, I think, as opposed to $299. I didn’t regret the purchase at the higher price. Installation was a bit of a bear. 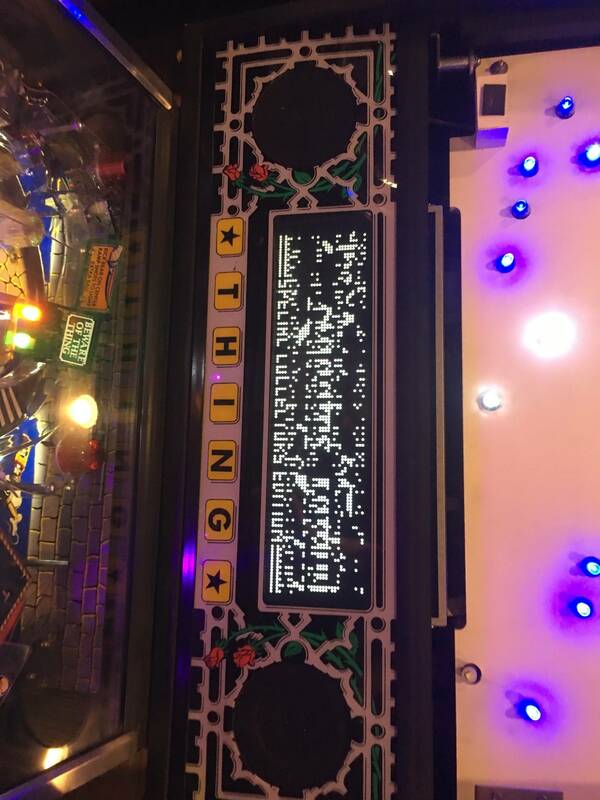 Actually the easy part was the Thing board. Everything else, not so much, largely due to not the clearest instructions. Plus, you have to remove the black adhesive backing from your panel cover, or buy a new one, which is what I opted for since mine had a bit of a scratch. In the end though, totally worth it! It looks even nicer in person. 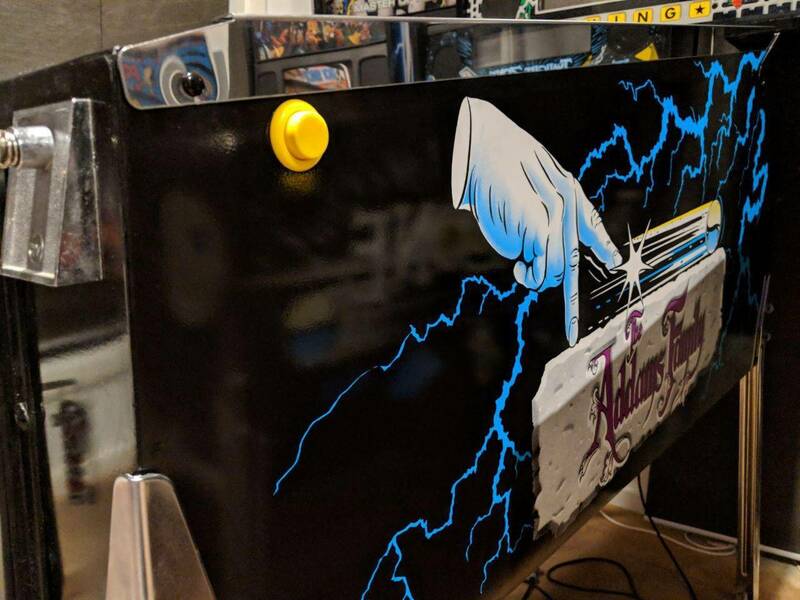 I was about to buy one for my T2, but Dan (LPM owner) told me to wait about 2 months because they’re in the process of making a number of small improvements to the panels to make them nicer/easier to install. I appreciated his candor in wanting me to be satisfied vs. wanting to get rid of his old stock. Hello everyone, just recently joined the club. 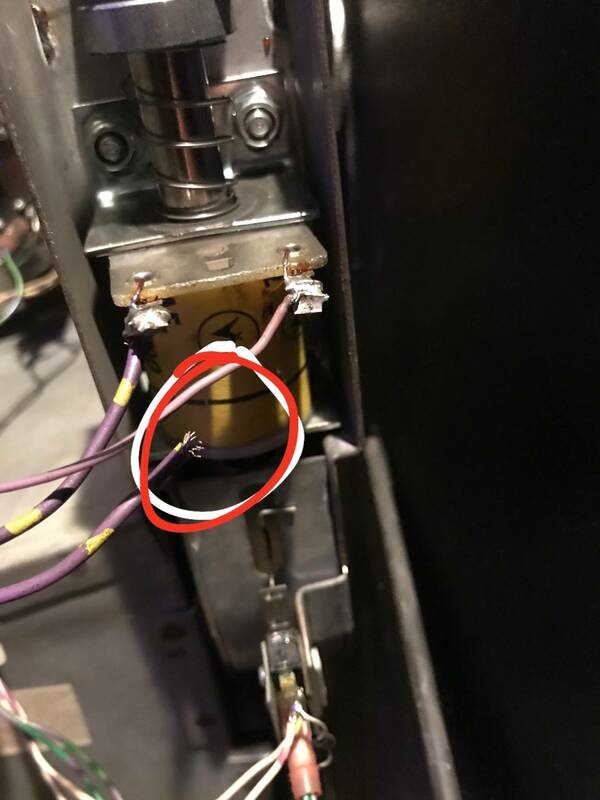 Does anyone know if there is a way to adjust the pivot points for lifting the playfield? Mine scrapes on the left side of the cabinet when you pivot it up or down, and I would like to fix that before i put side art on.